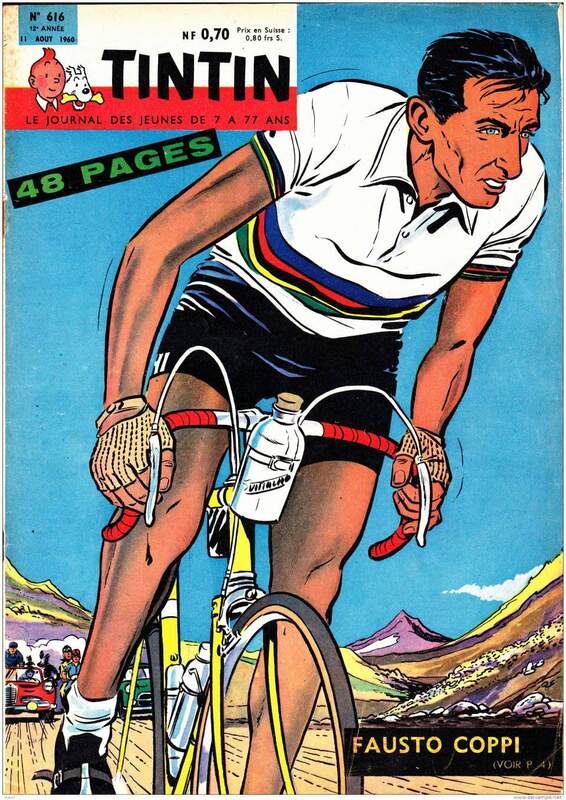 Fausto Coppi was already dead, when the magazine was published. Geminiani was diagnosed as being infected with plasmodium falciparum, one of the more fatal strains of malaria. Géminiani recovered but Coppi died on Jaanuary 2, 1960. His doctors convinced he had a bronchial complaint, they never suspected to malaria. The Adventures of Tintin (French: Les Aventures de Tintin) is a series of comic albums created by Belgian cartoonist Georges Remi (1907–1983), who wrote under the pen name Hergé. The series was one of the most popular European comics of the 20th century. 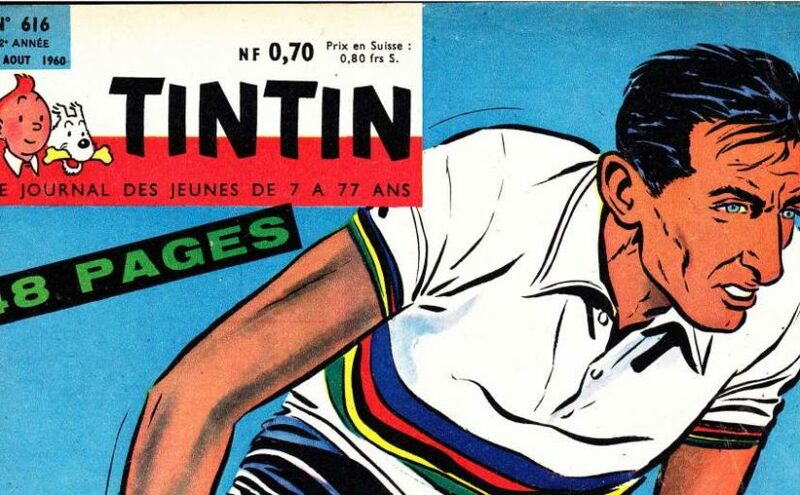 By the time of the centenary of Hergé’s birth in 2007, Tintin had been published in more than 70 languages with sales of more than 200 million copies. The Adventures of Tintin have been also adapted for radio, television, theater, and film. 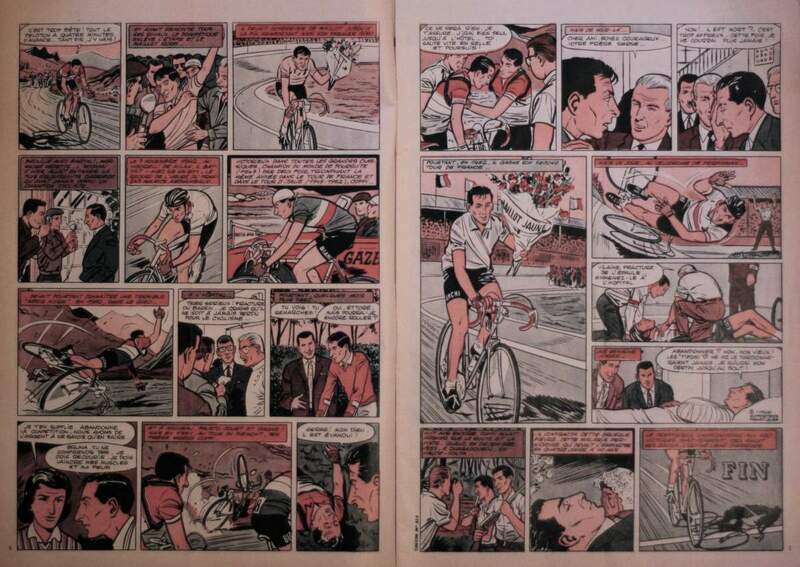 Fausto Coppi on TinTin Magazine, 11 August 1960. Inside the magazine.